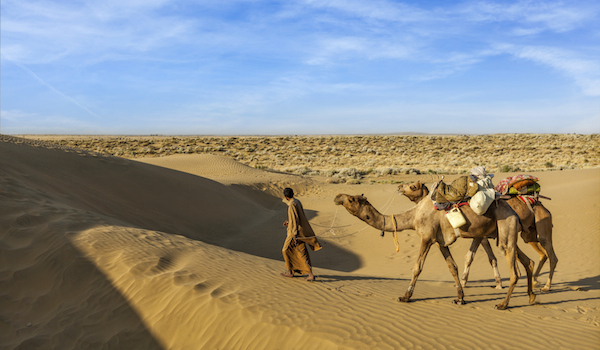 Covering a broad swath of remote Rajasthan, the gorgeous Thar Desert offers visitors a seemingly endless sea of golden dunes. Referred to as the Great Indian Desert (it’s the largest in the subcontinent), it’s the perfect destination for the adventurous traveller. Whether you choose to explore on camelback, or opt for a luxurious retreat in the desert’s arid heart, we’ve handpicked six of our favourite secrets for the perfect Thar Desert tour. 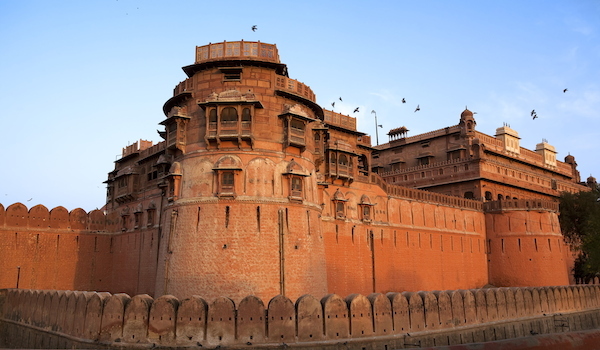 For visitors who are looking to go on a Thar Desert tour, the historic city of Bikaner, once the capital of a princely state, is a treasure trove of gorgeous architecture, rich heritage, and breathtaking landscapes. At the centre of the desert outpost, which is surrounded by sloping dunes, the historic Junagarh Fort draws large numbers of visitors. Save time as well to wander around its walled old city, its palaces, and to soak in the ambiance of this unspoiled destination. 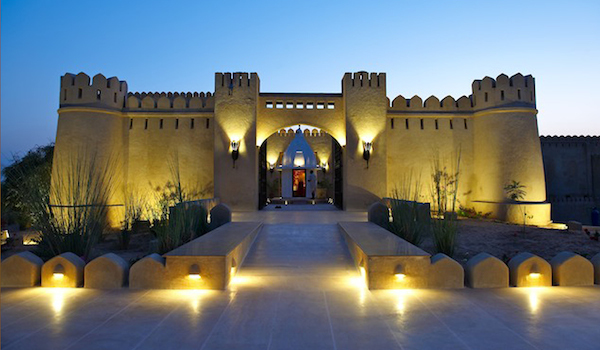 Modelled on the many historic palaces that populate the Thar Desert’s cities, the Mihir Garh hotel was only constructed in 2009. It’s the ideal place for a getaway: while the palace hotel’s crenelated, golden walls look like a vestige of hundreds of years past, modern facilities like an on-site infinity pool, expansive suites, the luxurious Tulsi Spa, and the equestrian Safari Programme make this secluded desert secret a top-notch luxury retreat. 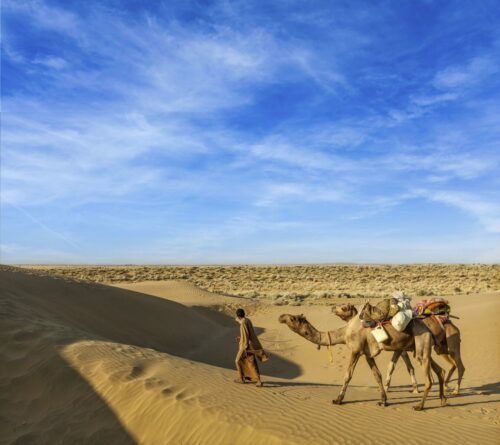 Given its lack of roads and its challenging sand formations, it can be difficult to do a car-less Thar Desert tour. Why not do as the locals do, then, and experience the desert from a new perspective: on the back of a camel. At Reggie’s Camel Camp in Osian, travellers can sign up for a journey-by-dromedary, which will conclude with a luxury dinner, an evening in a swimming pool, and a breezy night in a fully equipped tent. 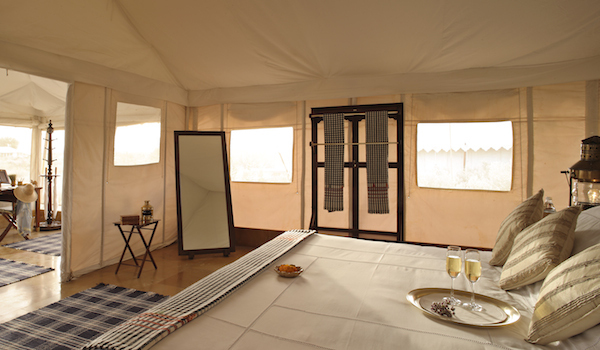 The sand dune-topped camp offers 50 tents as well as unparalleled views of the surrounding vicinity. 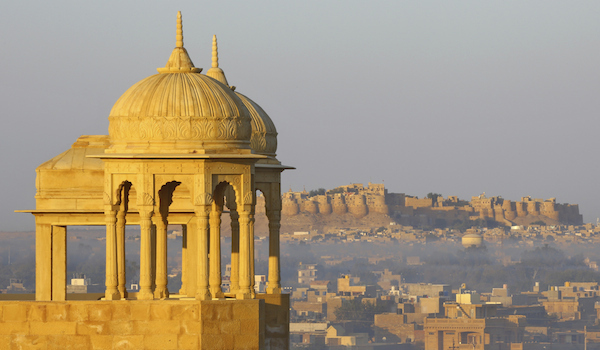 There’s no question that the desert city of Jaisalmer is popular amongst travellers to Rajasthan, and with good reason: the ancient city is a living relic, its near millennia of history still encapsulated within the sandstone walls. From its many palaces to the compelling nooks and crannies of the Jaisalmer Fort itself, there’s no doubting that this outpost is a Thar Desert highlight.